It’s that time once again. It’s spring break for dragbike racing fans. 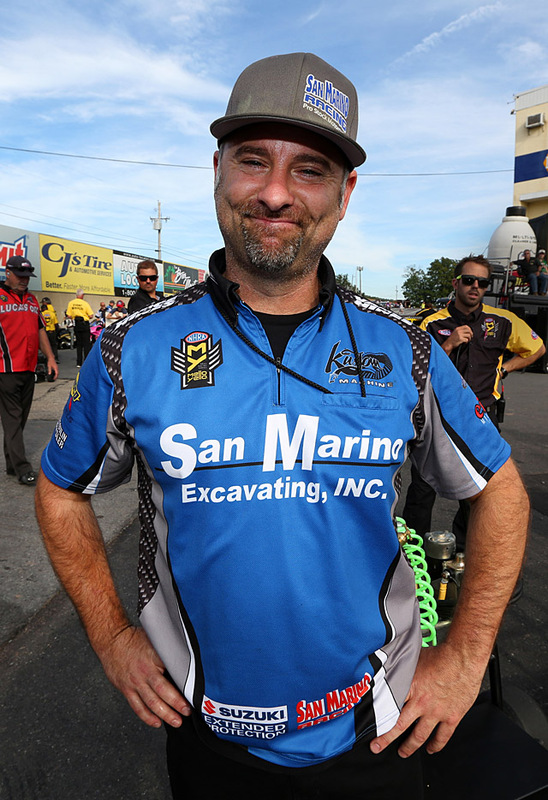 NHRA Gatornationals – The Pro Stock Motorcycle season-opening race. 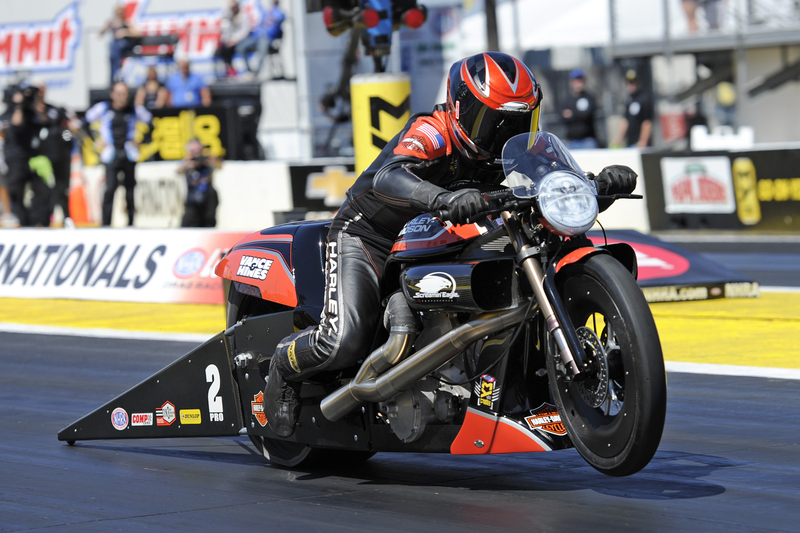 The NHRA Pro Stock Motorcycle class begins its 32nd season of competition at the Amalie Oil Gatornationals from Gainesville, Fla., March 15-18 and there are plenty of questions to be answered. Is this the season we finally see a 200 mph speed flash on the scoreboard during competition? The class has been incredibly close for the past serval seasons but the number has proved to be elusive. 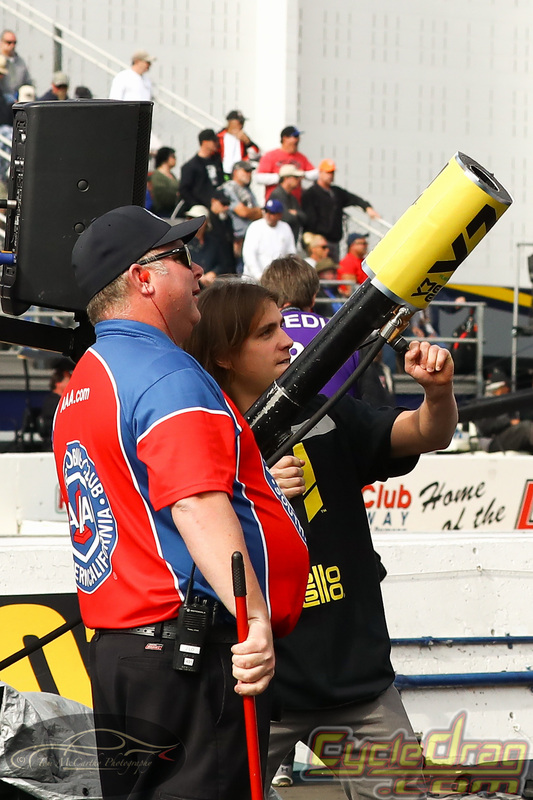 Hector Arana Jr. holds the official record at 199.88 mph, set in Charlotte in 2015. 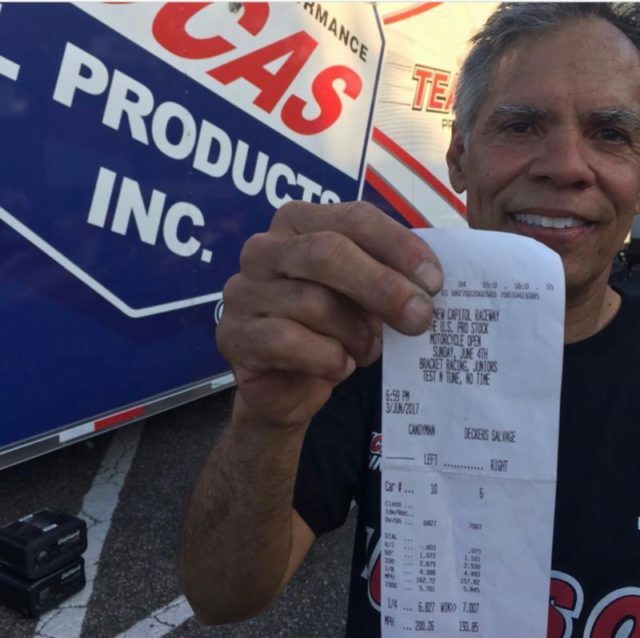 Since then both Eddie Krawiec and Hector Arana Sr. have run faster than 200 mph in testing. Arana Sr.’s 200.26 blast came last June at Maryland’s Capitol Raceway during an independent event. Much like in 2005 when a handful of eager racers were sprinting to be the first in the six-second zone, a milestone Andrew Hines would ultimately capture, most everyone in the class wants the media attention, the prestige and the bragging rights that come with being the first to run over 200 mph. That includes defending champion Krawiec. 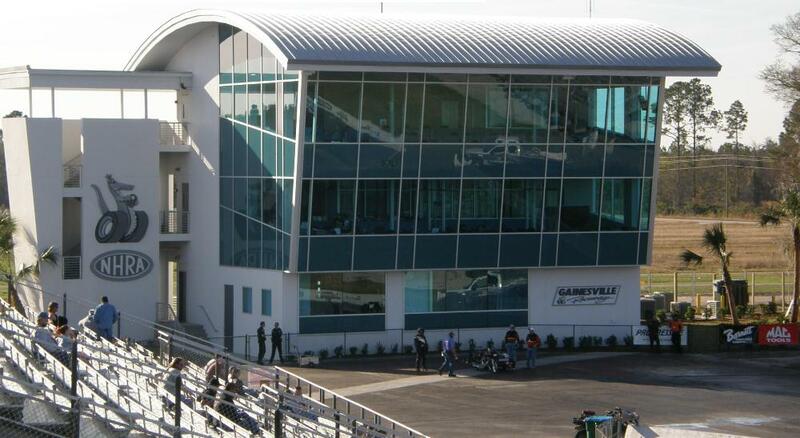 Gainesville also marks the first time Pro Stock Motorcycle will compete at the same event as Nitro Harley. There seems to be a somewhat friendly rivalry shaping up between the two classes, so the interaction between the two will be intriguing. For two-wheel fans this means more than 40 professional motorcycles will be in the pits at what is primarily a four-wheel event. 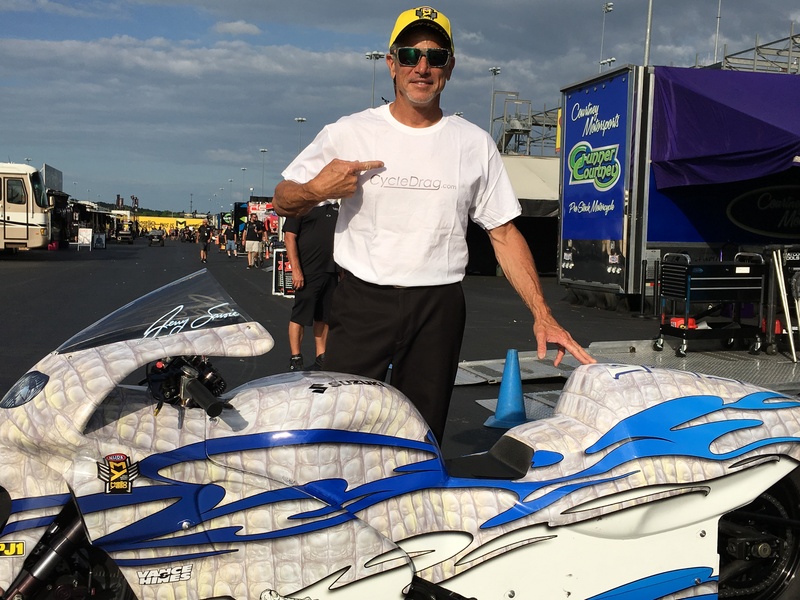 Overall, it’s great news for the sport of dragbike racing. 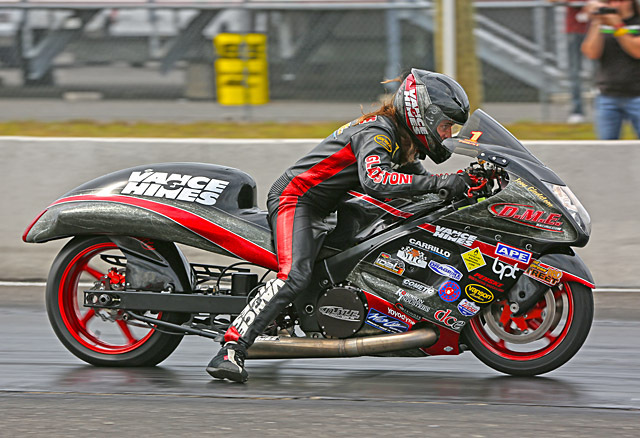 Much has changed over the off-season in Pro Stock Motorcycle. Let’s take a look at last season’s top ten and some of the key players. No. 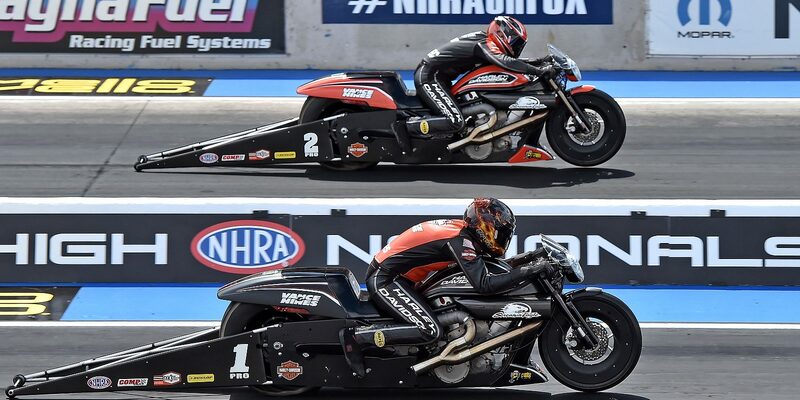 1 and 2 Eddie Krawiec and Andrew Hines – The Vance & Hines Harley Davidson team has been a dominant force in the class for the last decade plus. With an off-season of hard work, further refinements on the bikes, expect that trend to continue in 2018. Krawiec and Hines have combined for a staggering 91 event victories and nine championships throughout their careers. 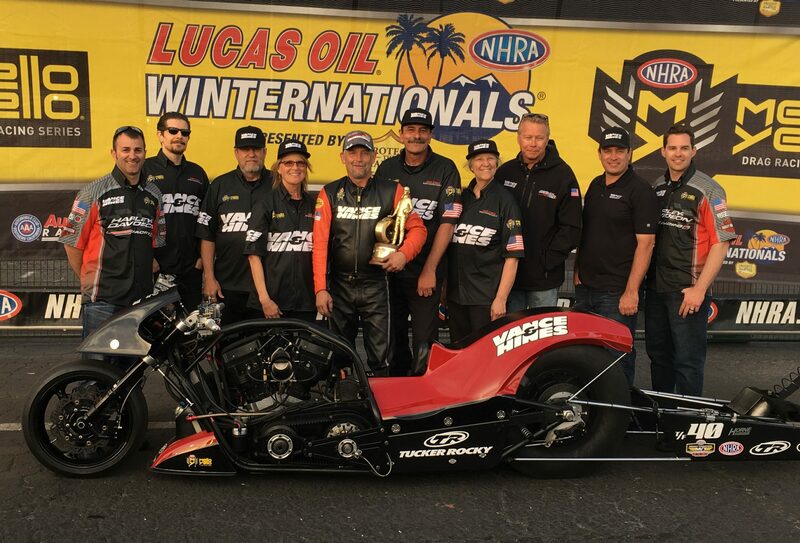 With a rock solid team, the tuning expertise of former class champion Matt Hines and some clutch reaction times, both Hines and Krawiec should end up in the winner’s circle plenty in 2018. One of the two is highly likely to run the first 200 mph pass. No. 3 L.E. Tonglet – The former champion had the most impressive regular season in 2017, with six event wins. He led the points into the countdown before Krawiec stepped up and nearly ran the table. Tonglet is hungry for a second career championship in 2018, but there will be a major change to his program. Last season he was under the tent of 2016 champion Jerry Savoie and was tuned by the skilled veteran Tim Kulungian. Tonglet will now be on his own, but that did not stop him from winning the title in 2010. No. 4 Scotty Pollacheck – The Oregon native finished a career best fourth last season in the countdown and he did it without even reaching a final round. Pollacheck displayed remarkable consistency by reaching eight semifinals and could be poised for a breakout. Last season in Reading, Pa. he enjoyed his first pole positon. 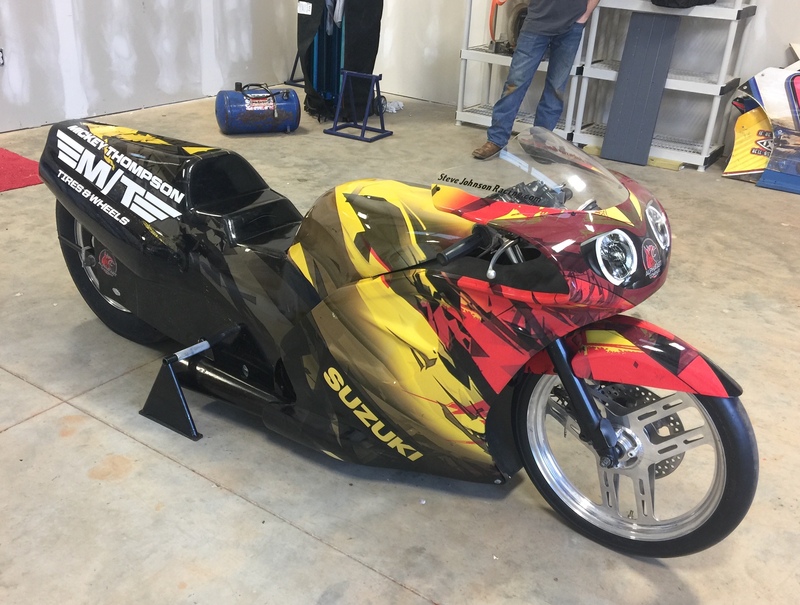 He’s developed into one the category’s top Suzuki riders and enjoys the years of tuning experience from Gary Stoffer and Greg Underdahl. No. 5 Jerry Savoie – The Alligator famer reached the winner’s circle twice in 2017 but fell short of what he really wanted – back-to-back championships. 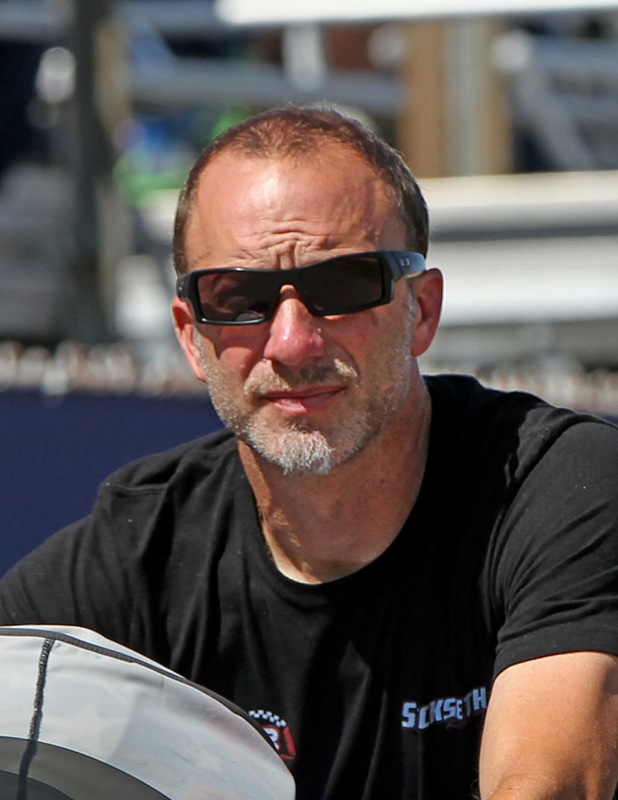 Savoie says he encountered some problems late last season that he was unable to correct. Now the eight-time event winner is again optimistic after seeing some impressive dyno numbers. Savoie says Vance & Hines worked hard over the off-season to help him return to championship form. Savoie will be joined by new teammate Steve Johnson in 2018. No. 6 Matt Smith – Perhaps two-time series champion Matt Smith encountered the most drastic change of any PSM racer over the off-season. A longtime v-twin racer, who won two championships on Buells, Smith is returning to his roots with Suzuki. 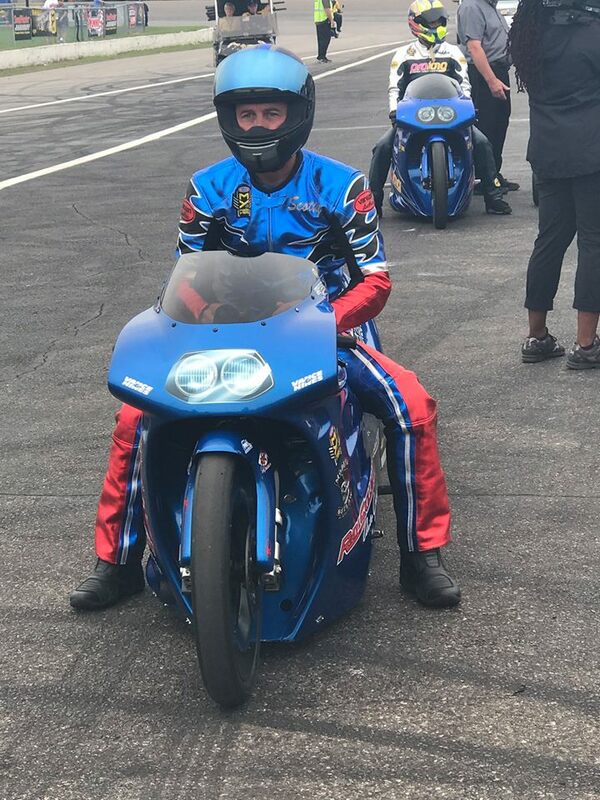 Its Smith’s first time on a PSM Suzuki since 2009. After Polaris pulled out and Smith was unable to secure a sponsorship deal he was offered a ride with Joe Riccardi, who was in need of a jockey after the departure of Joey Gladstone. The two went to work on the machine, turning over every stone and Smith says they found nine more horsepower. 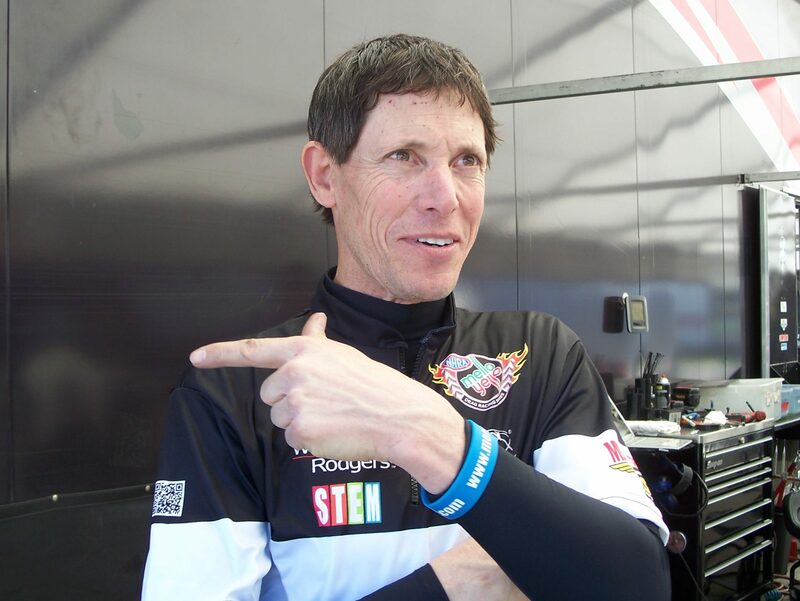 Smith is also building a brand new bike he plans to debut in Charlotte. No. 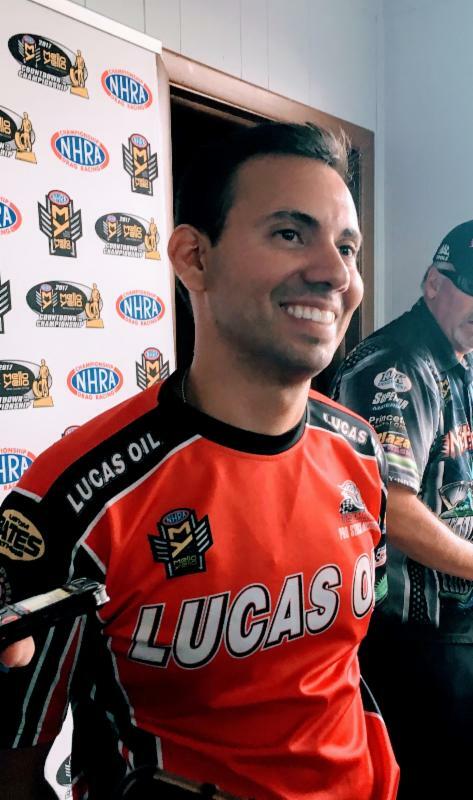 7 – Hector Arana Jr. – Lucas Oil-backed Hector Arana Jr. had an up-and-down season in 2017 and for the first time in his career had to go an extended amount of races without his father racing alongside him. With Sr. healed up from last year’s surgery this team should display its usual impressive consistency. No. 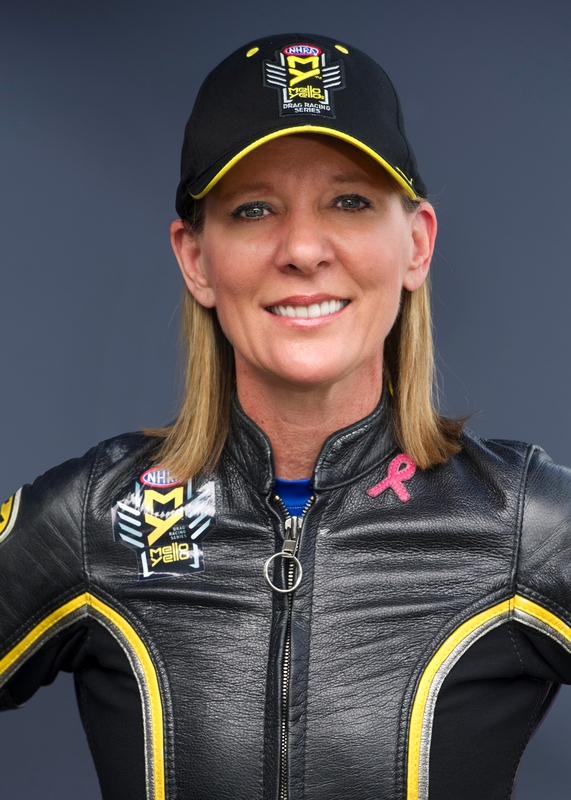 8 – Karen Stoffer – The eight-time NHRA event winner Karen Stoffer returns on the same motorcycle from last season with an even bigger team. Stoffer has assembled a squad of four motorcycles. The experience of the team, combined with four bikes worth of data will again make Stoffer and company a threat on any given weekend. No. 9 Joey Gladstone – After securing a top-ten in his rookie season, Gladstone will be on a new bike, with a new team and a new sponsor. Gladstone is joining the Stoffer / Underdahl squad and will be aboard the former Joe DeSantis Poison Dart. Gladstone says the bike now has a bigger engine, up from 1,830 c.cs to 1,855 c.cc, and says everything is new from the crank up. 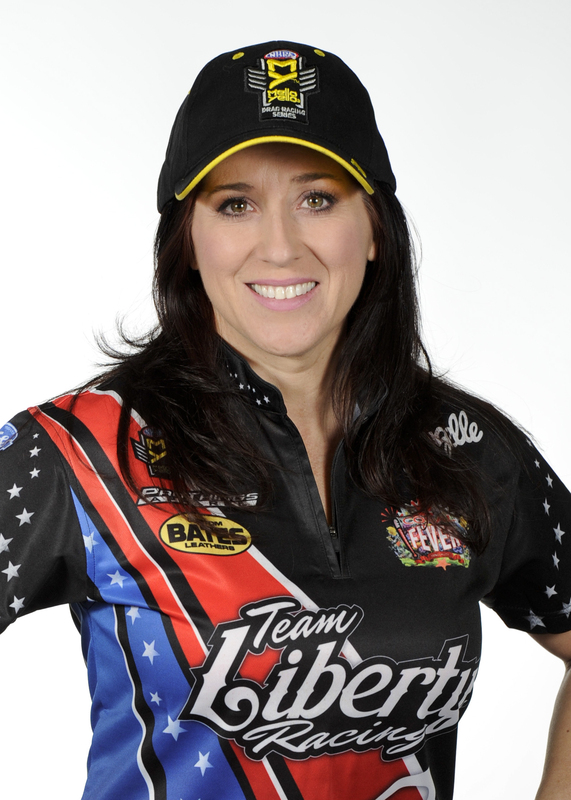 The former Pro Street champion will also have the backing of new sponsor Yellow Corn. Gladstone’s .027 average reaction time was the best in class last season. That combined with the tuning experience of Stoffer and Underdahl could have the young rider moving up in the standings. No. 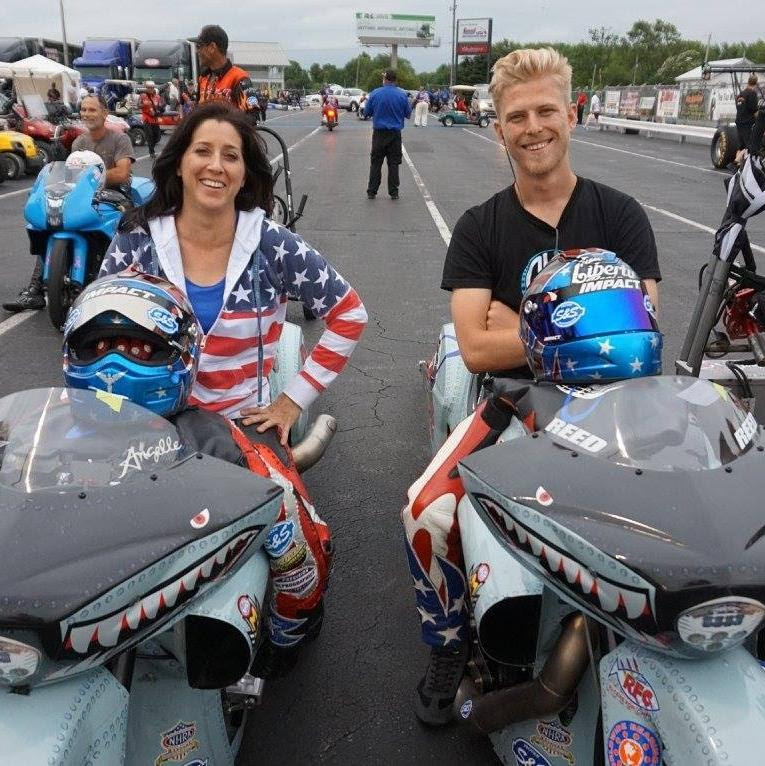 10 Angie Smith – In 2018 Smith will again be funded by Denso and aboard one of her husband’s Buells. Matt says with the Polaris/Victory deal over and more time to concentrate on the Buell, he was able to uncover 14 extra horsepower on Angie’s bike over the off-season. Smith is eager to continue building on the momentum she created last year. Steve Johnson putting in work in the pits. Steve Johnson – Perhaps the biggest potential for improvement lies with veteran Steve Johnson who missed the countdown last season but will now be teamed with Savoie, riding the former L.E. Tonglet bike. Steve Johnson’s Suzuki that will be in the Mickey Thompson booth this season. 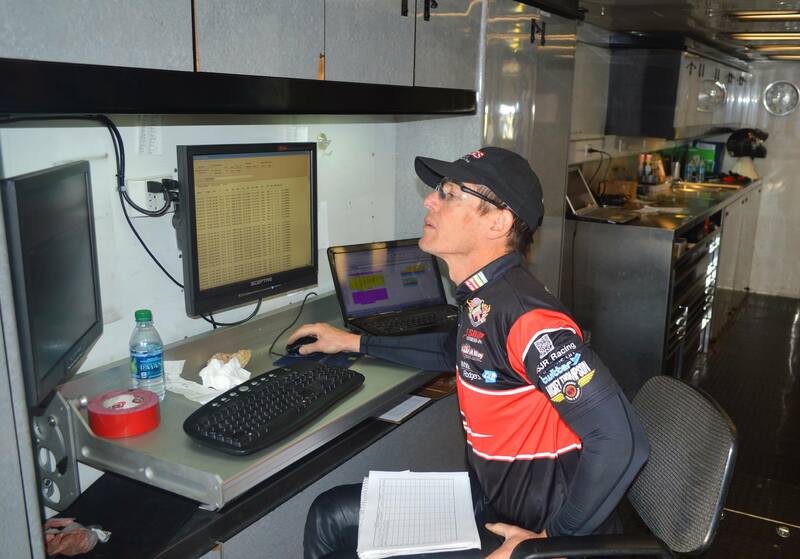 Johnson has a longer run history than anyone in the class, having entered his 400th career race last season. A strong championship run is all that is left for the veteran to accomplish. Teaming with Savoie makes him an immediate threat. Angelle Sampey – As a three-time class champion Sampey will always be in the discussion as someone who has the potential to rise to the top. Last season Sampey and teammate Cory Reed failed to make the Countdown and opted to take off the end of the season to prepare for 2018. Working with ace tuner Larry Morgan is sure to make a big difference. Jimmy Underdahl – The son of Greg Underdahl returns in 2018 and will be on a brand new Vance & Hines Suzuki. New equipment and a wealth of tuning knowledge should make Underdahl a factor. 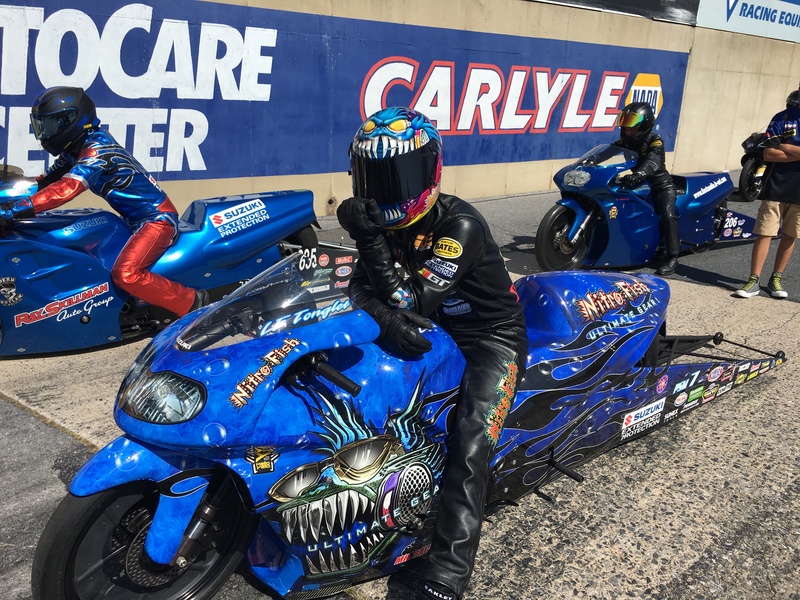 This is also the season we could see a Pro Stock Motorcycle dip into the 6.60s for the first time, not to mention the first Nitro Harley five. 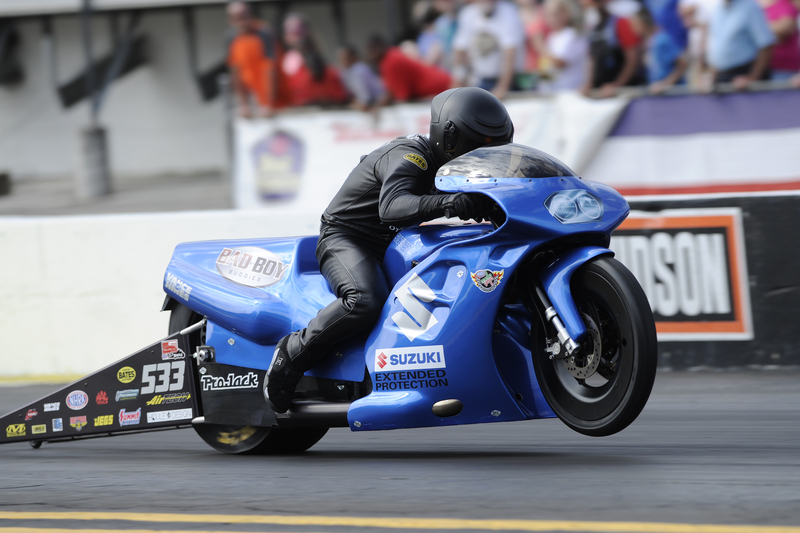 It’s an exciting season for motorcycle drag racing fans. On to the Gators we go.